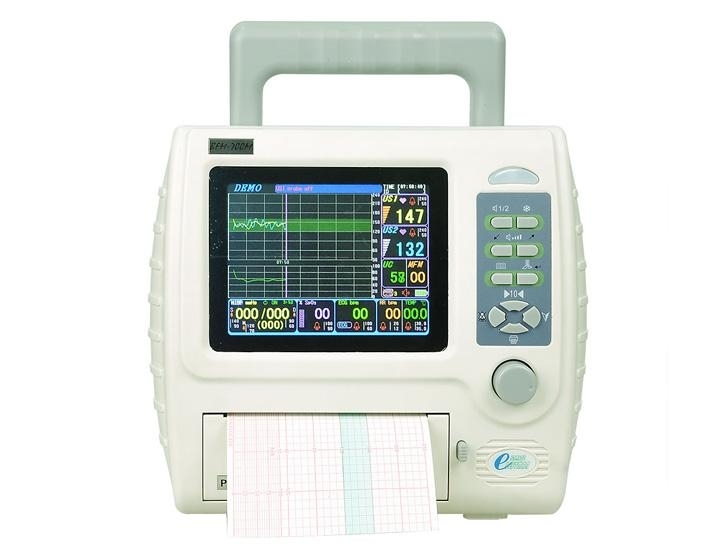 Shenzhen Bestman Instrument Co. ,Ltd. is a professional medical equipment manufacturer, located in the Shenzhen City, P.R. China. After many years development we have enjoyed high popularity in medical equipment profession. We continuously concentrate on the development and production of gynaecologic diagnose apparatus. By now, we have 7 series products: BF series Fetal Doppler; BFM series Fetal Monitor; BPM series Monitor Multi-parameter; BV series Vascular Doppler; BD series Syringe Destroyer; ECG series Electrocardiography machines, BEU series Ultrasound Device and BFW series Medial fluid/blood infusion warmer. BF-500/500+/500++/500A/500B/500C/600/600+/610/610P/510/510S/500D/500D+ series Fetal Doppler have more than ten models, which can be used at home, clinic or hospital for detecting the Fetal Heart Rate (FHR). BV-520/520T/620V/620VP series Vascular Doppler with four models can detect the blood stream status of artery or vein and test the average velocity of blood stream in the course of the surgical operation. BFM-700/700+/700E/700E+/710/710M series Fetal/Maternal Monitor can be used at clinic or hospital to monitor FHR for single or twins and mother's Toco, NIBP, SpO2 and Maternal Heart Rate (MHR). BD-300A/300B/300C series Disposable Syringe Destroyer protects human being and environment from the used syringe infection, which can melt a needle and destroy the body within only 3-5 seconds. All Bestman's high-tech products are strictly manufactured. We owned ISO9001:2000, EN ISO13485:2003 certificates and CE mark and act according to the principles of the perfect technology, products and services. Most of our products are exported to the Middle-East, Southeast Asia, Africa, Europe, America etc..
Shenzhen Bestman Instrument Co. Ltd. will make every endeavor to be the best professional producer in China and even in the world. We are top ten brands of fetal doppler and fetal monitoring area in China. The BF series ultrasonic fetal doppler mainly applies to detect fetal heart rate in hospital, clinic and at home etc. We have handheld type and portable type for both medical and household use to meet your needs. We can be your reliable and trustable supplier. All of our vascular doppler detectors are with CE certificates. There are handheld and portable types. They are hot selling all over the world with its guaranteed quality. Our portable vascular doppler also named ABI machine, easy to operate and with excellent performance. If you need high qualified vascular doppler with good price, then Bestman will be your best choice! Our syringe destroyer also named needle and syringe destroyer. There are four different types with outstanding functions. They are: BD-310, BD-300A, BD-300B/C , BD-320, BD-330. By melting the needle at a low pressure moment, can be used to prevent the repeated use of syringe, destroy the disposable syringe and prevent cross infection. The warranty for our syringe destroyer is one year and offer after-sell service forever. It mainly applies to detect fetal heart beat rate in hospital,clinic etc. There are different types of fetal monitor for single and twins, all with CE certificates. Our single fetal monitor models: BFM-700E, BFM-700TFT. Twins fetal monitor models: BFM-700E+, BFM-700+TFT and BFM-700M. The warranty for them is one year. ECG machine with touch color LCD screen, high-speed USB interface and traditional RS-232 interface are both built-in for communicating with computer as well as other devices. Portable ECG machine is very easy to use in both hospital and home. With CE and Free Sale Certificates. The medical transfusion and infusion heater is an instrument for heating the liquid of the human body by heating the infusion tube. It is suitable for transfusion and transfusion before operation, during and after operation; transfusion of intravenous nutrition fluid; infusion of children or newborn; transfusion and transfusion under cold environment. There are different types: BFW-1000, BFW-1000+, BFW-1020, BFW-1050A/B/C. Address: 4/F, Block210, 2nd Industrial Area of Nanyou, Xiangnan Road, Nanshan District, Shenzhen, P.R.